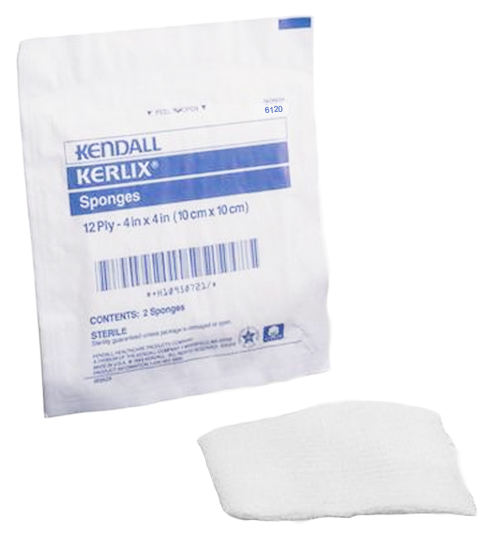 Covidien 6120 Kerlix™ 4 x 4 Inch 12-Ply Sponges are ideal to cushion a wound as a primary dressing. 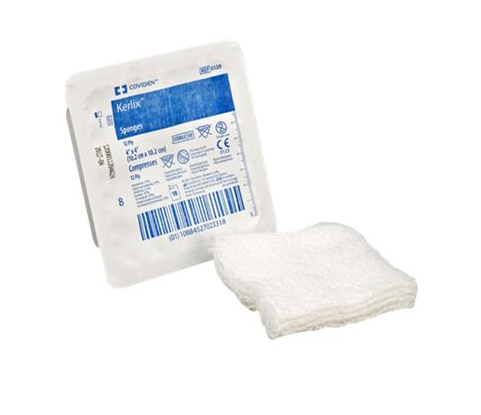 The sponge's crinkle-weave texture offers superior absorption to take in wound exudate as a dressing or pack a wound. Its 12-ply construction adds softness as well as loft to protect a wound. 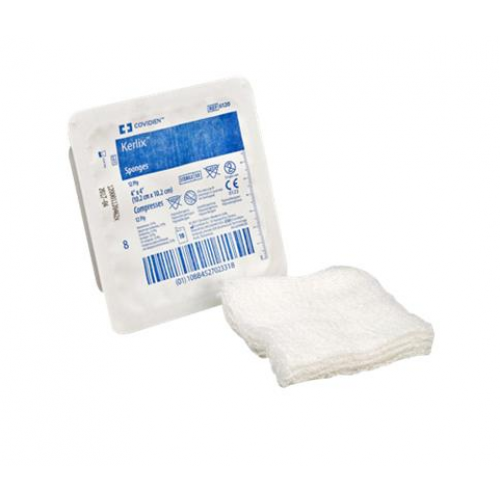 Fluff-dried gauze sponges are versatile and are often used to cleanse or debriding the wound. Since the sponges are packaged sterile in a plastic tray, this creates fast and easy handling of the sponges to reduce the risk of contamination. Choose from a tray of 10 sterile sponges or bulk purchasing of 128 trays for facilities. You may also be interested in hypoallergenic clear tape, by Covidien to secure the dressing.